Seascapes and landscapes are such great subjects for watercolour! We loved seeing all the beautiful paintings that were submitted. Thank you to everyone who entered. 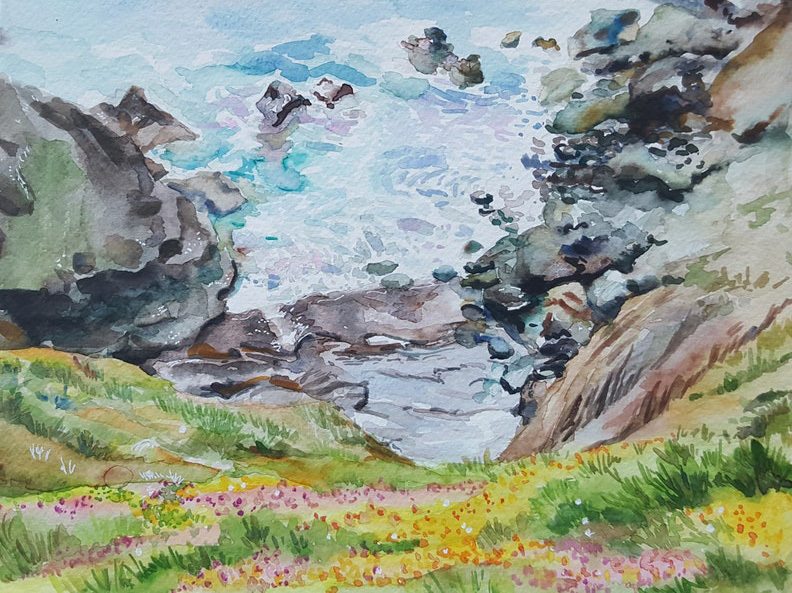 After much consideration we are pleased to announce that the Jackson’s judging panel has chosen ‘Hidden Path’ by Sophie Rodinov as the overall winner of the Summer Seascapes and Landscapes Watercolour Competition. 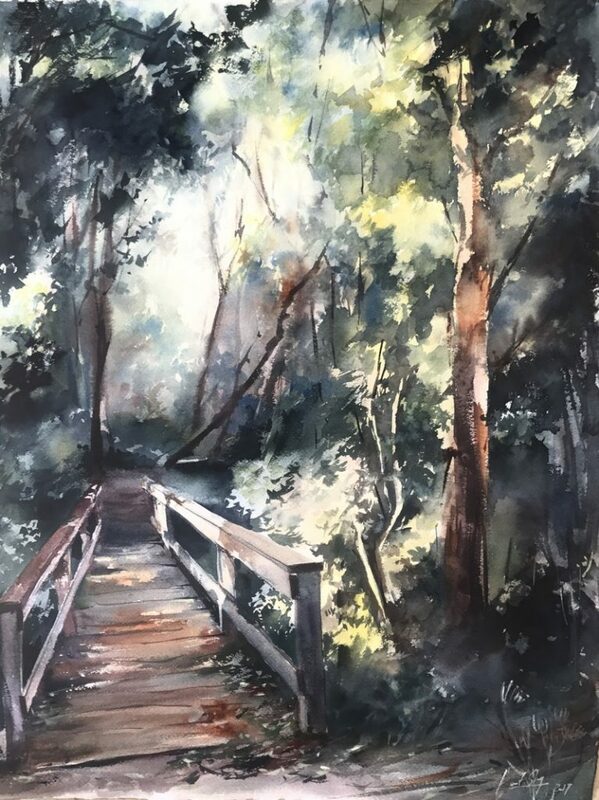 We chose this painting because of its painterly qualities and the sense of atmosphere – you almost feel like you are on a walk in the damp woods! We also have two People’s Choice Awards that have been decided by public vote – thank you to everyone who participated in the voting. 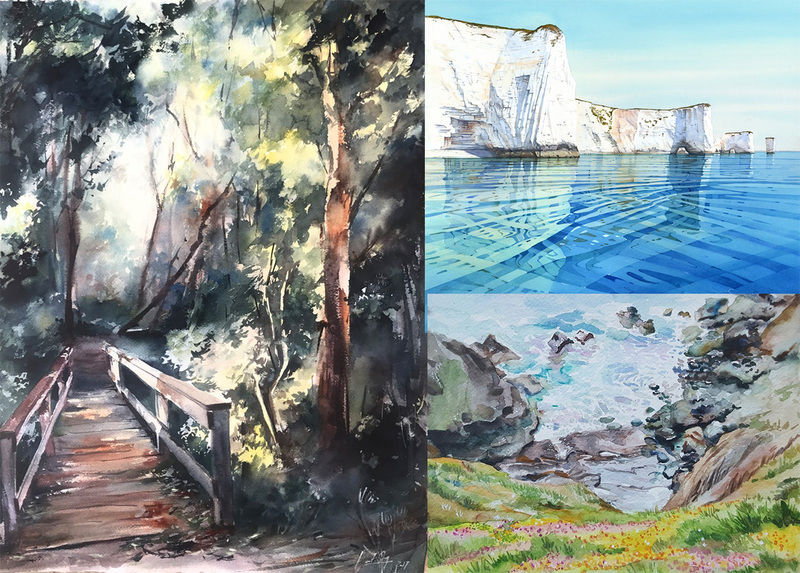 All three winners will receive impressive Schmincke Horadam Watercolour prizes. You can view all 25 brilliant watercolour paintings that made the shortlist here. Description: Watercolour painting which was started on location and finished in a studio. Sophie will receive a Schmincke Horadam Watercolour Paint Set of 24 Full Pans worth £175 RRP. 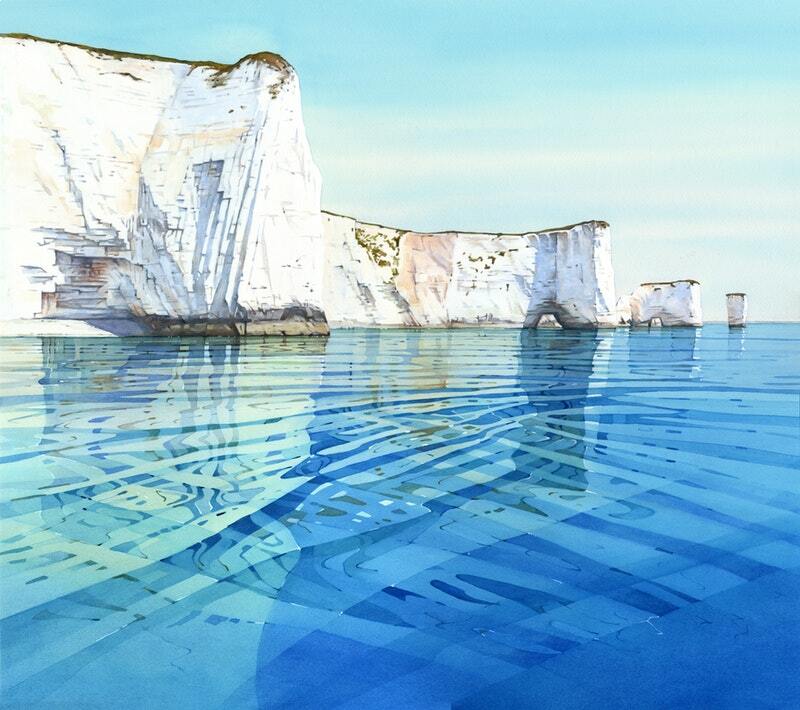 Description: Painted with a view from a kayak looking towards the Purbeck Cliffs of Dorset. Cathy will receive a Schmincke Horadam Watercolour 12 Half Pan Set worth £68 RRP. Description: Lizard’s Peninsula southern most tip of England is such an inspiring location. The sea, the hills, the flowers, the lovely open sky, all of it coming together to make this beauty landscape. Just could not help but create it in watercolours. Anita will receive a Schmincke Horadam Watercolour 12 Half Pan Set worth £68 RRP. For our upcoming competition – which launches 10th August 2017 – we are looking for Atmospheric Acrylic paintings! The prize is courtesy of Golden Acrylics. To view our Competition Calendar, please click here.